We round up the latest Liverpool news and transfer rumours on Monday, as the Reds begin their warm-weather training camp in Dubai. Nine months on from his initial departure. Great to see such a key player slowly nearing a return. The Brazilian was shifted to a rare role late on. Did you notice the youngster’s last-gasp impact against Palace? The boss is proud of his team’s efforts against Crystal Palace. Honest words from the former Reds winger. Roberto Firmino once again showed what a talismanic figure he can be for Liverpool, scoring in the 4-3 win over Crystal Palace on Saturday. It was his 45th Premier League goal—the most by a Brazilian since the league’s inception in 1992—and although he is honoured to have broken that record, he says there is still more to come. “I am proud of that, but never satisfied,” Firmino told Liverpool FC Magazine. “I always want more, to grow and develop further every day with objectives and targets to achieve. Firmino may sometimes come across as a laid-back figure, but he is a born winner who is vital to the success of this Liverpool side. 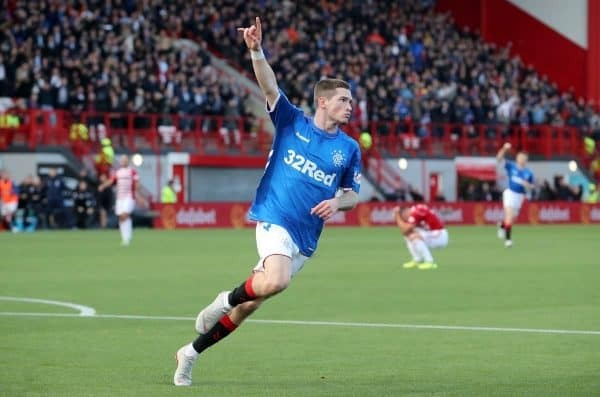 Ryan Kent has impressed throughout his loan spell with Rangers this season, leading many to believe he could remain at Ibrox permanently. The Liverpool forward has hinted as much, admitting he has never felt more “settled” during his young career to date. 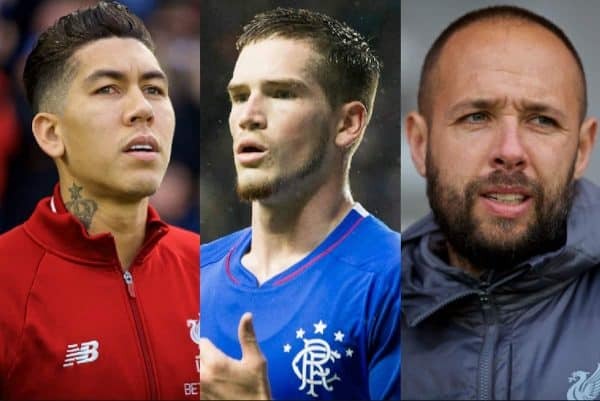 “I have bought into Rangers since I got here, it is an unbelievable club and the fans are brilliant,” Kent told Rangers TV. “I think with the team we have now it is a really good squad but when you are playing in those games, the big derby games, it makes you realise what a big club it is. “This is the most settled I have been at a club, I think just the way I have been welcomed into the team, the people I have got around me in regards to the coaches has made me feel really settled here. Steven Gerrard’s men return to Scottish Premiership action for the first time in 2019 on Wednesday, with Kent hoping to play a key role away to Kilmarnock. Liverpool’s U18s are in FA Youth Cup fourth-round action on Monday night, as they take on Accrington Stanley in St Helens. “He has been great this season and done really well for us. His distribution has been a real plus and we’ve got him playing out from the back. “He can play longer passes into the No. 9, he can play over the top and he is calm in possession. 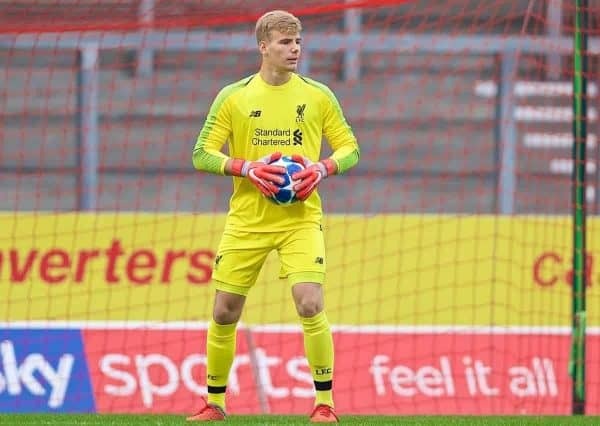 “He has done extremely well and for us as well, because of the way we play, we have been a bit open at times but we know we’ve got a goalkeeper who can keep us in games. Kickoff at the Totally Wicked Stadium is at 7pm (GMT)—keep an eye out for This is Anfield’s match report. Mohamed Salah is dominating the headlines right now, with his apparent penchant for going down too easily irking those of a non-Liverpool persuasion. 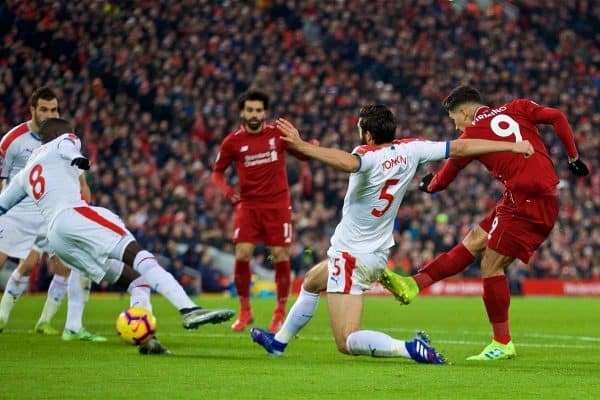 “One thing I have noticed is that when Salah goes down to try to win penalties, his hands go above his head. “This is what officials look for when trying to see if a player has simulated. “Usually, if you are knocked over, you put your hands straight out to break your fall. 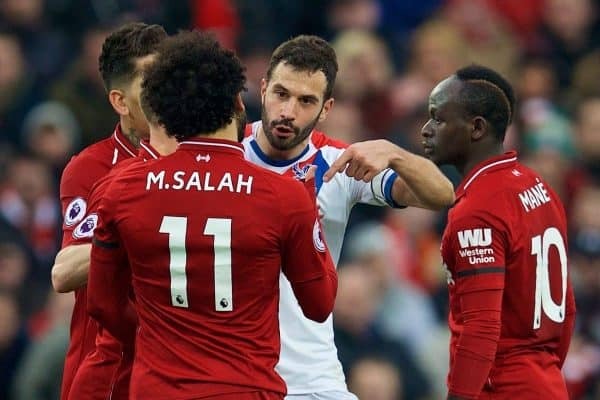 While Liverpool’s top scorer clearly dived against Palace, it is worth noting that all of the penalties he has won this season have been fouls. A narrative is building, and unfairly so. 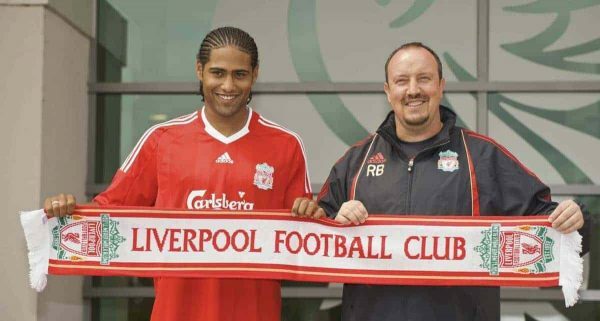 Former Liverpool right-back Glen Johnson has announced his retirement from professional football. The 34-year-old joined the Reds from Portsmouth for £17.5 million in the summer of 2009, showcasing his attacking quality during six years on Merseyside. Though not always the most popular of figures as time went on, Johnson always gave his all, and played his part in Liverpool almost winning the 2013/14 Premier League title. In total, he made exactly 200 appearances, scoring nine times.